Documenting the shift from “reception” to “detention” of asylum seekers at EU borders and the erosion of a fundamental right at the heart of European democracy, the right to liberty. The Red Line Project is a collaborative initiative led by the Hungarian Helsinki Committee and including the Global Detention Project, the Bulgarian Foundation for Access to Rights, the Greek Council for Refugees, and the Italian Council for Refugees. Immigration policy has catapulted to the forefront of public debate around the world as governments resort to increasingly restrictive measures to block migrants and refugees. While severe border policies are by no means new, this surge in migration control raises questions about the forces driving national policies. 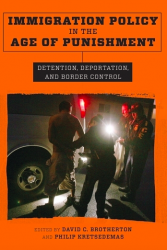 This chapter in the new book Immigration Policy in the Age of Punishment advances an actor-oriented analysis that views detention systems as complex organisations that rely on deeply rooted institutional structures to buttress their existence, multiple sources of financing to grow operations, and support from a broad array of social actors. 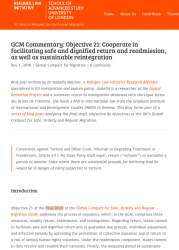 This themed blog series organized by GDP Researcher Izabella Majcher for the Oxford University-based Border Criminologies examines the EU hotspot approach from the perspective of the right to liberty and freedom of movement, highlighting the unclear division of roles and responsibilities between EU agencies and host member states, the blurred line between detention and reception, substandard material conditions, a lack of transparency, and differential treatment based on nationality, among a host of other concerns. 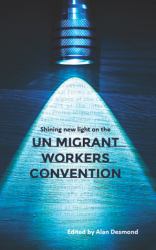 Adopted in 1990 and in force since 2003, the UN Migrant Workers Convention is the most comprehensive international treaty in the field of migration and human rights. 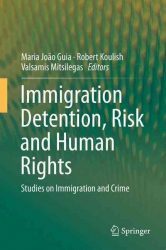 In this chapter, Mariette Grange details how the convention safeguards migrants against arbitrary detention. She explains, however, that as the convention has only been ratified by 51 states—none of which are industrialised, migrant-receiving countries—the full potential of the convention remains to be tested. 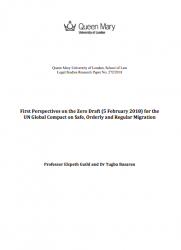 Following the recent publication of the Zero Draft for a UN Global Compact for Safe, Orderly and Regular Migration, 17 expert academics—including GDP Researcher, Izabella Majcher—provide commentary on the positive and negative aspects of the Objectives, as well as the necessary follow up. 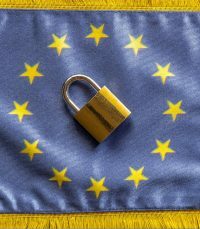 Europe reflects a variety of policy responses to the growth of the immigration control industry – from the privatisation of the management of entire immigration detention estates to keeping all detention facilities in official hands and employing private non-profit groups. 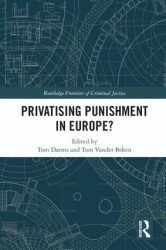 In this chapter, Michael Flynn, Matthew Flynn, and Eryn Wagon detail the variety of levels and forms of privatisation adopted across the region, as well as the challenges that the outsourcing of immigration controls posits. 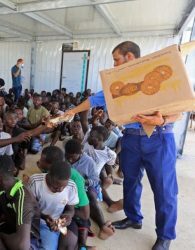 Governments increasingly rely upon detention to control the movement of undocumented migrants and asylum seekers. Approaching detention from an interdisciplinary perspective, this new edited volume brings together leading writers and thinkers to provide a greater understanding of why it is such an important social phenomenon and suggest ways to confront it locally and globally. The Institute on Statelessness and Inclusion interviews the GDP’s Mariette Grange about the detention of stateless persons and the importance of international human rights standards in safeguarding the rights of this vulnerable population. 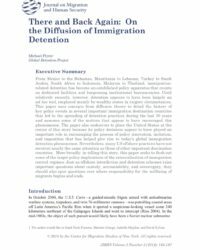 In this chapter for the recent book Intimate Economies of Immigration Detention (Routledge, 2016), Michael Flynn discusses the emergence of new actors in immigration detention systems across the globe and the challenges this poses in efforts to hold states accountable. 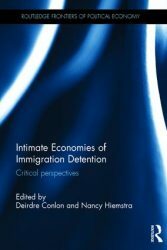 This journal article by a GDP Contributing Researcher assesses post-structuralist approaches to the study of immigration detention, contrasting them with conceptual approaches developed in bureaucratic capitalism, which highlight the various private- and public-sector interests impacting the evolution of detention regimes. 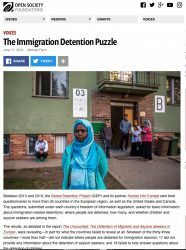 Liberal democracies betray discomfort at public scrutiny of immigration detention, neglecting to release statistics, cloaking detention in misleading names, and limiting what they define as deprivation of liberty. These countries have also expanded their detention activities and encourageed their neighbors to do the same. What explains this simultaneous reticence towards and embrace of detention? 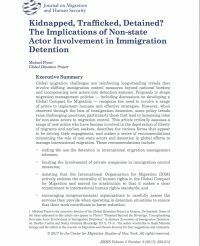 Research undertaken by the Global Detention Project indicates that an often over-looked variable shaping detention policies and practices is the response by states to pressure stemming from key international norms relevant to the rights of non-citizens, including the right to liberty and security of the person. Available here. 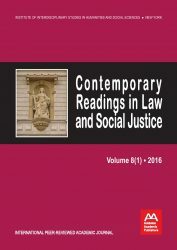 In its ruling in the Skerdjan Celaj case (C-290/14), rendered on 1st October 2015, the Court of Justice of the European Union (CJEU) addressed once again the relation between immigration and criminal law and in particular the compatibility of national penal measures imposed as a punishment for irregular migration with the EU Returns Directive. Pre-removal detention is usually considered an administrative measure aimed at the facilitation of the removal of irregular migrants by preventing them from absconding during removal proceedings. 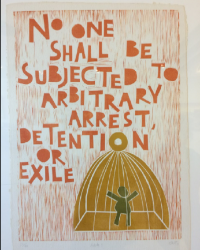 The administrative nature of immigration detention implies that persons subject to this measure do not have access to the fair trial guarantees that criminal detainees are entitled to. However, the assessment of pre-removal detention under European Union and Swiss legislation demonstrates the penal nature of such detention despite its formal administrative classification. 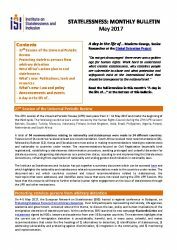 Human Rights Violations during EU Border Surveillance and Return Operations: Frontex’ Shared Responsibility or Complicity? 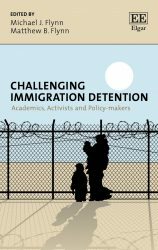 Online debate between Michael Flynn (Global Detention Projecy) and Michelle Brané (Women’s Refugee Commission) over the strategies for countering the growth of immigration detention. Read entire debate here. 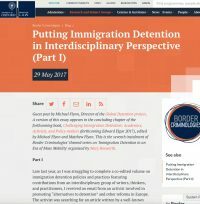 Contribution to the “Border Criminologies” program at Oxford University regarding the debate over the impact of “alternatives” to immigration detention. Read post here. 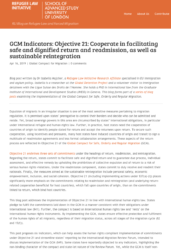 New research from the Global Detention Project publicized on the Border Criminologies website. See post here. Can the promotion of liberal norms have an unintended – and damaging – impact on how states confront the challenges of irregular immigration? Article for the Forced Migration Review. Read the full article here. What’s the Deal at Manta? The United States said it would restrict its activities at Manta to anti-drug efforts—so why is it messing with migrants and more? Millions try each year to slip into the United States through its “soft underbelly”—the U.S.- Mexico border. The U.S. government’s solution: Move the border south.